Lucy Giuliano, aged 25 from Derby, volunteered for International Service in Burkina Faso. She attended a workshop exploring social media storytelling – an insight into vlogging and social media as communication tools. Here she shares her highlights and tips from the session. Digital communications are increasingly regarded as the future of engaging with your audience. Whether it be promoting a product via a YouTube advert or tweeting an online petition, vlogging and social media are considered as a platform to reach a large audience in a simple way, particularly in the charity sector. Offering a personal experience, this method of storytelling gets a message across easily and can be effectively used in raising awareness of campaigns, events and organisations. 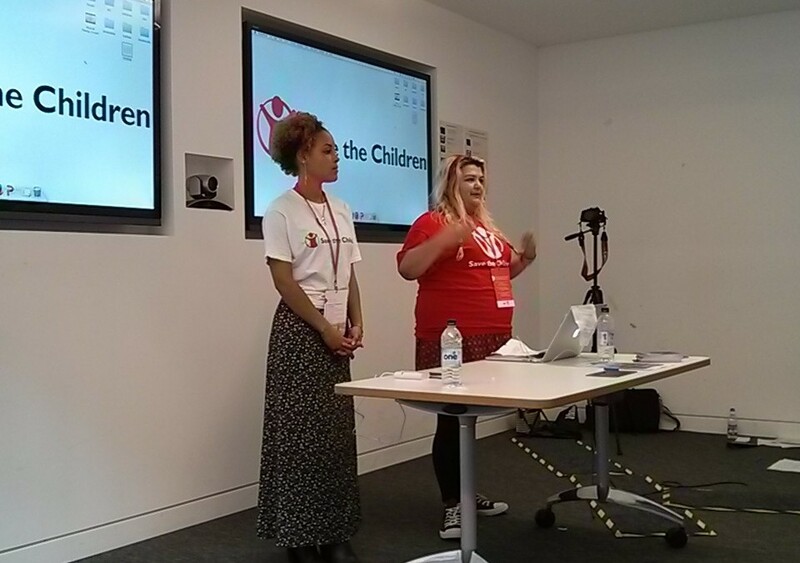 In this workshop Save the Children’s resident vlogger explained how to best use this platform in the quest to “make your voice heard above all the noise, including the cinnamon challenges”. There was an emphasis on being specific. Storytelling differs to reporting as you need to immediately grab your viewer’s attention before they go and watch a goat video instead. Focus on one issue, speak with authority and assume your audience has no prior knowledge of it. Not only that but be passionate and genuine to create a connection, compel and captivate your viewer. Sounds tricky? Don’t worry, you can re-shoot, edit and condense until you only have the highlights, the so called “best version of you”. It’s no myth that a lot of what you see on the internet is scripted and painstakingly edited before it makes it to YouTube, even those cat videos. So now you’ve got them to watch your vlog instead of cute animals, it’s time to convey your message. The only problem is that the whole world might be watching. In the words of Taylor Swift, the haters gonna hate – reputations are subject to the opinions of many. As communications become increasingly digital, it will be interesting to follow the evolution of this platform, probably on Twitter.